Congratulations On Your Acceptance to Seton Hill! We can't wait to have you on campus! Now that you've been accepted, check your Seton Hill University email address regularly for updates and directions on finishing out the process of becoming a Setonian. As an incoming Setonian, you are required to pick a Setonian Orientation to attend prior to your arrival on campus. At Setonian Orientation, you'll meet faculty, schedule your classes, receive your student ID and explore campus with some of your future classmates! 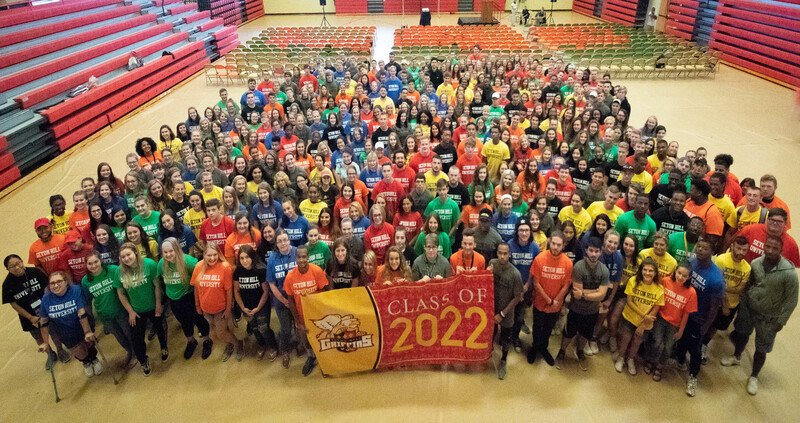 Information about Setonian Orientation will be sent to your Seton Hill University email address, as well as the email that you provided upon applying. All students must upload mandatory health requirements (Immunization Verification Form; TB Screening Questionnaire; and Health History) to Medicat by August 1st. A hyperlink for Medicat can be found at the bottom of your MySHU homepage under online services. Use your Seton Hill email and password to log into Medicat. Resident students who do not comply with the mandatory health requirements will not be able to move into the residence halls and will not be issued their technology until they do so. Commuter students who do not comply with the mandatory health requirements will also not be issued their technology until they do so. As university communications begin to come your way, you can begin to tackle the little things that will make your first semester here that much easier. If you're an incoming Education program student, you will need to obtain certain clearances before classes begin. Information and instructions for this process can be found here. To stay up to date with what's happening on the Hill - and to get excited for your upcoming semester - follow us on social media! There's a lot going on up here, and we can't wait for you to be a part of it.